Long thought to be legless, its leaves are actually vestigial limbs. Legko, the Lizard tuxemon, is a Wood-type monster. 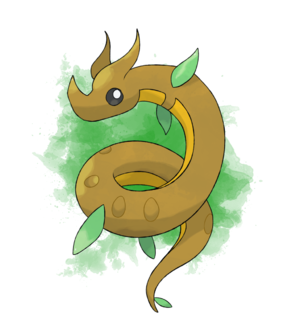 Based on the mountain devil shrub and the legless lizard. Original design and sprites by Sanglorian. Other art by DevilDman. This page was last modified on 21 October 2018, at 00:13.